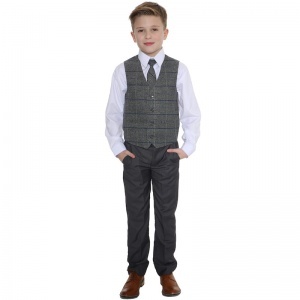 Grey & tweed blue check 4 piece waistcoat suit for baby boys, toddler or older boy, suitable for all special occasions. 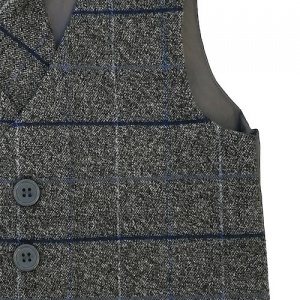 Waistcoat: Grey tweed effect waistcoat with a blue check pattern. Fully lined with double pockets, 4 grey buttons and an adjustable strap/buckle on the back for a perfect fit. Trousers: Pleated grey slim fit trousers, double pockets, belt hoops, elasticated on rear for the perfect fit. 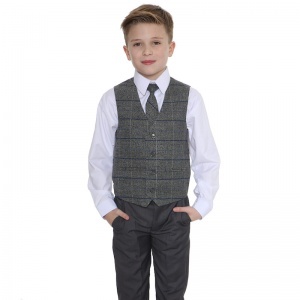 Tie: Co-ordinating with the waistcoat is a matching grey tweed effect tie with blue check pattern. This suit is made of a light-weight fabric with a slim line cut giving a high quality, comfortable fit. Stitched to a high standard with great attention to detail. Dry clean only. 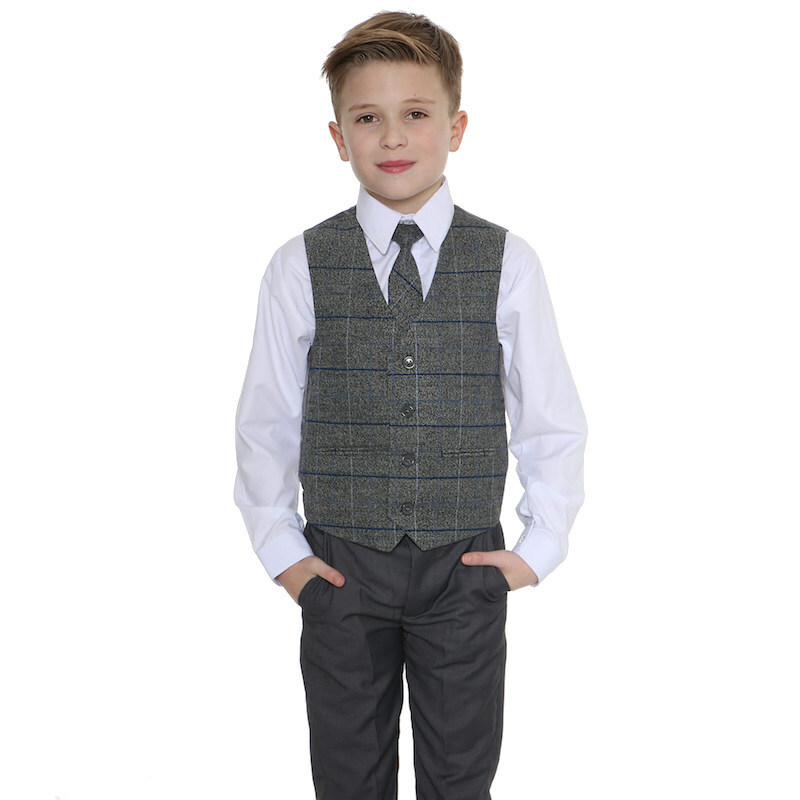 This grey & tweed blue check outfit will make him look like the perfect handsome gentleman at a christening, wedding or special occasion.